$169.00 of free extras with purchase! The Eureka Olympus 75E Hi-speed has pulled out every stop to live up to its Grecian namesake. The titanic design begins with a towering footprint and a 3.5-pound bean capacity (though smaller hoppers are available). 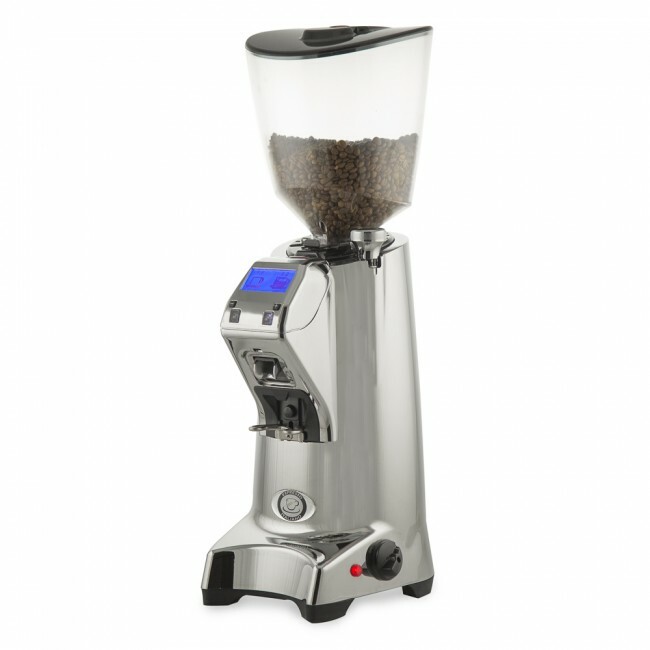 State-of-the-art 75 millimeter flat burrs in hardened steel pulverize beans at speeds impressive even against grinders double its price. Eureka has kept their standard one- and two-cup volumetric dosing controls and stepless adjustment dial for straightforward operation suited for the busiest cafe environments. 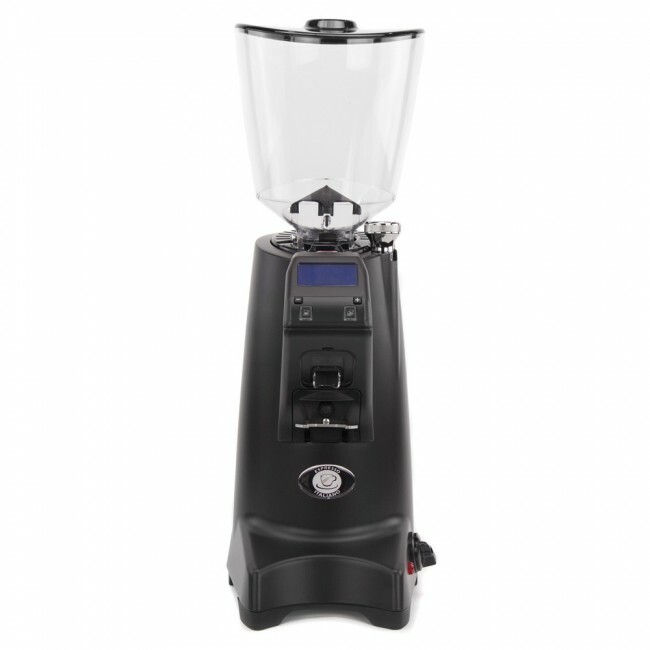 The power-geared design is rounded out with subtle niceties like an adjustable portafilter holder and an anti-static coating for easy cleanup. Steel Burrs - Strong like Zeus himself, the wide, aggressively cut burrs made short work of any blend we ran through them. Volumetric Programming - Dial-in your perfect single or double dose for extra consistency. Hopper Door - A sliding door closes off the hopper for easy removal and burr maintenance. Stepless - Infinite grind settings mean you can find just-right consistency. Bottom Burr Adjust - Make sit easy to get into the burrs for cleaning while still remaining close to your last grind setting. Fast as Hermes - We dialed in the Olympus at a crazy fast 2.4 seconds of grind time for a double shot. Smooth as Apollo - Even on its finest setting, we saw very little clumping of grinds. 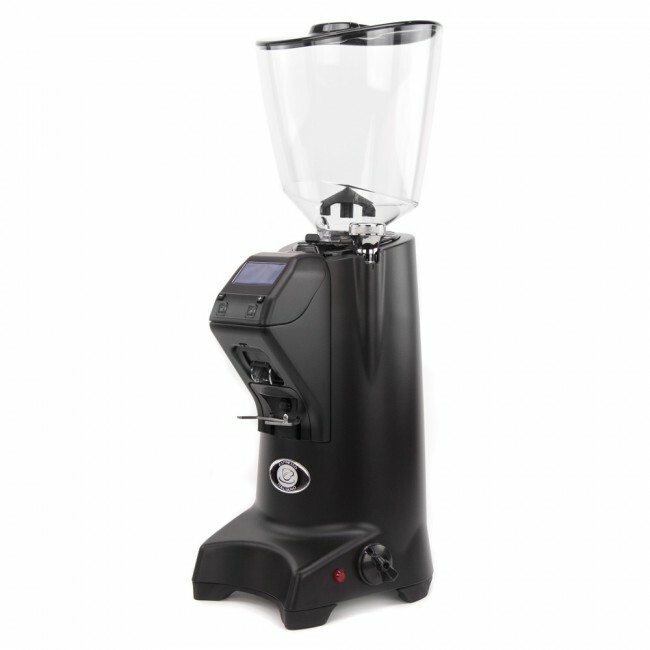 Artemis' Accuracy - An adjustable portafilter arm and chute help to reduce mess. The included base plate will catch any grinds that miss the mark. 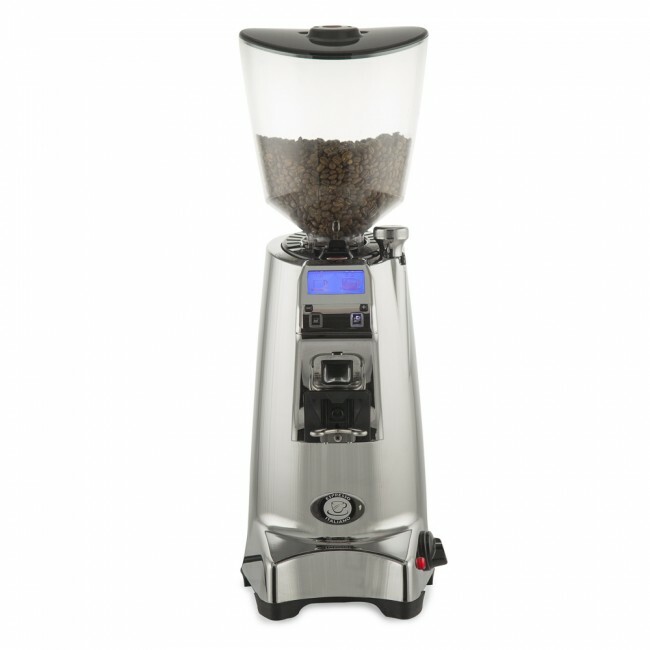 Zeus' Thunder - The high speeds and efficient burrs come at a cost; the grinder is not quite quiet (like its little brother the Atom) and the powerful motor puts out a noticeable amount of torque. Fingerprints of Hephaestus - Our chrome model picked up fingerprints like crazy. You can enter manual grinding mode by pressing both single and double shot buttons at the same time. Soap out hopper weekly to remove built-up oils. Clean grinder burrs every other week depending on usage. We use Grindz.